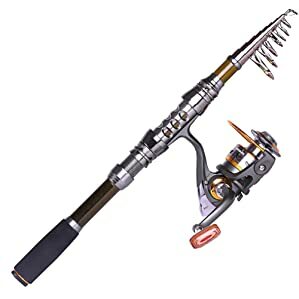 Best Fishing Rod and Reel Combo 2019 - Spinning vs Baitcasting? Rod and reel combos are, as the name suggests, a combination of a fishing reel and a rod which come pre-assembled together. These packaged deals are great for beginners who might not know very well how to best match up a rod and reel. 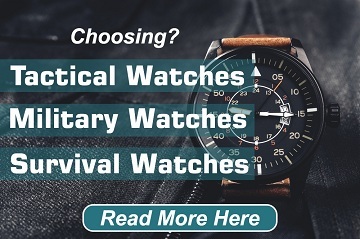 However, even with the ease that comes with buying a combo, there are a number of considerations to keep in mind when picking out the right combo for you. 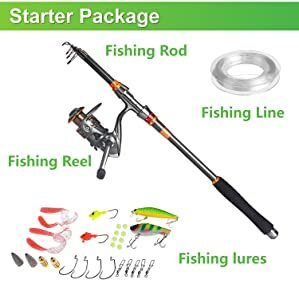 The benefit of getting a rod and reel combo is that you will know that the specifications of each will work well with each other. You won’t have to worry about whether the flexibility of the rod will be compatible with the gear ratio of the reel, because a professional has already put in the work for you in figuring that out. Sure, if you are a more experienced angler, you might want to try your own combinations, but a combo set is great for the beginner or intermediate fisherman who wants to just pick out his gear and get fishing. Getting a combo is great if you want to simplify the process of getting new gear. The combo also has the additional benefit of cost. When packaged together, you can often find combos that are priced at a very reasonable rate, usually cheaper than buying the two components separately. Therefore, if you’re on a budget you can get a little bit better quality equipment within your price range if you go for a combo set. Here are a few of the top-rated rod and reel combos of 2019, to help you get an idea of what you should be looking for. The rod that comes with the Plusinno Spin combo is made of durable construction, composed of carbon fiber and fiberglass, a combination which has proven to be effective in making a strong, flexible rod. The smaller parts are made of soft plastic and stainless steel, which gives it a nice tactile feel and makes the rod look great even when it hass been exposed to saltwater. Its ability to hold up in any sort of water makes it a great choice if you’re looking for versatility. It is also easy to fold up an expand, making it great for easy storage. Its lightweight and compact design makes it a good choice for camping trips, as you can carry the rod nearly anywhere you go. The reel that comes with the Plusinno combo is the HA3000 model. It comes with an aluminum spool, and a body made of metal with anti-corrosive treatment. It is lightweight, weighing 9.5 oz., so you won’t have to worry about packing along a cumbersome reel. It has a gear ratio of 5.2:1, and is outfitted with an anti-reverse handle. This gives it enough handling that hooking a fish shouldn’t be too difficult for a practiced angler. The S-curve oscillation system provides the combo with a smooth reeling-in motion. This is further aided by the innovative balanced rotor system the HA3000 uses. With this setup, you won’t find much jerking motion when retrieving. The Plussino Travel is nearly identical to their Spin package. It comes with the same HA3000 model reel, and all the benefits included. The lightweight design fits perfectly in hand, and the design of the reel as a whole lends itself well for its smooth reel-in. The difference between the Plussino Travel and the Plussino Spin is the rod. The major variance between the two is a different shape and design in the handle, so it really comes down to a matter of personal preference. The Plussino Travel rod is compact and durable, made from fiberglass and carbon. It’s good for a novice angler, but more experienced fishermen may prefer something with a little more backbone. It comes with a variety of accessories, such as hooks, sinkers, and lures, so if you’re just starting out, this should a good starter’s pack. 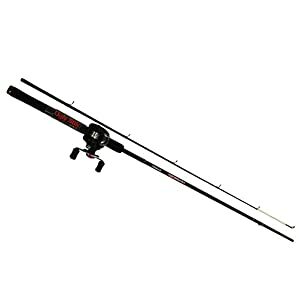 The rod that comes with the Penn Battle II model is ideal if you want to do some inshore fishing. It has great responsiveness which lends itself well to casting from the shore. However, many fishermen find that the rod has less than desirable durability, and can become damaged when fighting with larger fish. For this reason, you may want to stick to freshwater or small saltwater inlets with this rod. A defining characteristic of the Battle II model reel is the use of Penn’s signature drag washers. Penn has incorporated their HT-100 drag washers into the spool of the Battle II. The washer is designed so that the spool can use each side of the washer, which means larger drags, longer casting range, and a smooth intake. Penn greases each of their washers with their patented grease, to better combat corrosion and increase longevity. The Battle II reels come with in a variety of eight different models, providing a wide range of performance capabilities depending on what you’re looking for. Every model has six bearings, but other features will vary. The gear ratio ranges from 5.2:1 to 6.2:1. 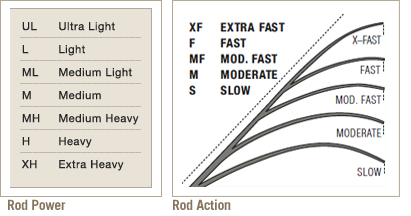 The range of maximum drag starts at 7 lbs., goes up to 25 lbs. There is also a drastic weight difference between the lighter models and the heavier; you can choose a 7.9 oz. reel all the way up to 29.2 oz. and everything in between. If you’re looking for options, you might want to start here. This rod is made from high-quality materials; it is composed of 99% carbon fiber. As such, it lends itself well to strength and durability, while maintaining a good deal of flexibility. The rod itself is relatively short, which makes it ideal for catching smaller fish, with a medium-light load. However, it may not work as well with hauling in larger fish. It works well in both saltwater and freshwater. The telescopic design and lightweight materials make it great for storage and traveling, in a simple compact form. The reel is also relatively small and lightweight with a 5.2:1 gear ratio. It is useful for pulling in smaller fish quickly and smoothly, but it might lack the power for big fish. The reel has eleven ball bearings which gives it a smooth cast and reel-in. If you want to cast out far without compromising your ability to pull in a fish, you should be able to easily. Overall, while the Sougayilong reel and rod combo may have troubles with larger fish, it is a quality-made product that feels good in the hand for an affordable price. 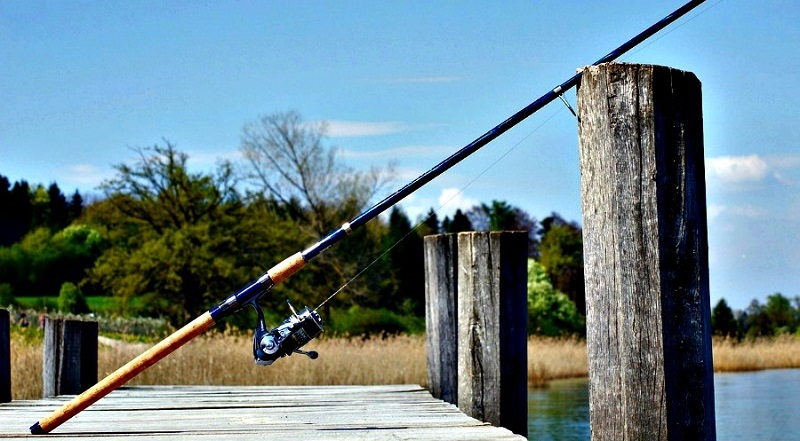 The Ugly Stik rod has been a staple in the fishing world for a long time; Shakespeare first introduced it in 1976. It has since received cosmetic upgrades in an effort to give it a more modern aesthetic, with its black matte finish and red and silver accents. The improvements go beyond just appearances, though. The Ugly Stik GX2 is made from a combination of graphite and fiberglass to create a sensitive rod with just enough strength and balanced feel throughout the whole rod. The GX2 includes stainless steel guides which increases durability and fights against corrosion. However, the Ugly Stik GX2 is also infamously heavy, and you might wear yourself out holding it all day. The reel may cause some frustrations; with only one ball bearing, it won’t offer the smoothest of reel-ins. You may have to deal with a little jerkiness. However, the reel does have a good balance of speed and power, offering it a good deal of versatility when picking out lures and bait. One notable advantage is that the reel includes a magnetic cast control with adjustable settings. You should be able to maintain good control over your casting with this reel. The body of the rod is a carbon fiber composition, with stainless steel guides and ceramic inserts. The anti-corrosive properties of the metal make it ideal for saltwater fishing. It comes in a wide variety of colors, if you are looking for that aesthetic appeal. The reel itself is light and durable, with its aluminum spool and clutch. It includes eleven ball bearings and a gear ratio of 6.3:1. As a result, it offers very efficient friction relief and you’ll experience nice, smooth reeling. You won’t have to fight with your reel at all when it comes to snags. However, the high gear ratio may make it difficult to pull in larger fish. It also includes an anti-reverse system and a great oscillation system which ensures that the reel reacts as soon as the fish hit your line. One thing that is often overlooked when discussing reel options is comfort, but in this area the Sougayilang Baitcaster really excels. The grip is ergonomically designed to provide maximal comfort to the fingers. The handle is bent slightly to conform to the hand, giving it a relaxed feel to it. As such, you may fish for many hours if you wish without experiencing discomfort. The reel also comes in both right-handed and left-handed models. The rod is a single-piece graphite frame. It is durable and lightweight, but its single-piece nature may mean it’s harder to store than the other telescopic rods review here. The reel performs great for its price range. It has six ball bearings and a 6.4:1 gear ratio along with an instant anti-reversing bearing, which allows for a swift and smooth retrieve. The included MagTrax brake system allows for swift adjustments to line release, so if you’re switching from different types of lures, you can quickly alter the brake control settings to best suit your needs. This allows for great accuracy without spending too much time messing with the controls. The drag control is very smooth and dispenses line flawlessly, leading to fewer jerks of the line, and thus fewer fish lost. It can certainly keep up surprisingly well against fish you’d expect to put up a big fight, such as bass. The drag has several settings, so you can alter it to your personal preferences with ease. Action: The term action refers to the point in which the rod begins to bend when pressure is applied to the end. A fast action rod will bend at the tip, while a rod with slow action will begin to bend more towards the base. Action is also related to taper, which refers to the thickness of the rod. The thickness will affect the shape the rod makes as it bends. Action is an important factor to be aware of, because different types of action are better suited towards different purposes. A rod with fast action is more sensitive, and requires less pulling of the rod to set the hook. This makes it a good choice for single-hook types of lure, as you will want to set the hook quickly. Rods with a little slower action have their own advantages. Generally, they are more well suited for long casting. A slow action rod works well with treble hooks, as they typically don’t hook as deep as larger single hooks, so a slow action will ensure you don’t set the hook too quickly, and pull it clean from the fish’s mouth. In general, the type of lures you use determine what kind of action you want. Power: Power is important for giving a rod its lifting strength. This is often referred to as the rod’s backbone. Power ratings are usually described as heavy, medium, light, or anything in between. It is important to be aware of the rod’s power, as it should be compatible with the weight of line. A heavy-powered rod can snap light line, while a heavy line can ruin a lighter power rod. When picking out which combo is best for you, keep in mind how much power you’ll need for the type of fishing you’ll be doing. Responsiveness: Responsiveness is related to the flexibility of the rod. Essentially, it is how quickly a rod can release its energy and snap back into place. Responsiveness is determined by the material the rod is made of, as well as weight. A rod may be built of different layers of multiple materials, so its responsiveness may be misleading if you’re judging only by the outer layer. In general, a rod will be more responsive if it’s lighter in weight, especially at the tip. You’ll want to find a rod with good responsiveness, because a “snappy” pole will allow you to get further and more accurate casts while exerting less energy on your body. Guides: The material and quality of construction of the guides are important. It will determine the durability of your rod, and its ability to resist corrosion. Some of the best guides are made of silicon carbide, as they put up very little resistance due to friction. This means that you can cast further and retrieve quicker. It will also reduce your line from overheating and more susceptible to breaking. Titanium guide are also a good choice, as they are more resilient than stainless steel, and less likely to break, while keeping the resistance to corrosion in saltwater. In general, the more guides a rod has, the better the performance, as it will apply pressure more evenly across the pole, so that you may utilize the full strength. Of course, more guides will lead to an increase cost, so you should decide for yourself what your priorities are. 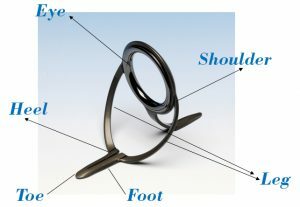 Ball Bearings: The amount of ball bearings a reel has will determine how smooth the reel-in is. Some more inexpensive reels will have bushings instead of ball bearings, but these generally do not perform as well. In order to make sure that the bearings remain durable, it is best to find a reel with sealed stainless steel balls. Good fishing reels will usually have at least two ball bearings, but usually the well-made models come with four to six. Some deluxe builds have as many as twelve, if you’re okay with a premium cost. 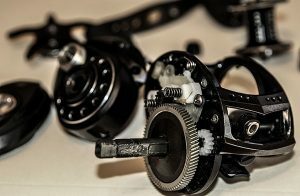 Gear Ratios: The gear ratio of a fishing reel is similar to that of a car or a bike: lower gears provide more power, while higher gears are more well-suited for speed. Most fishing reels come between a 2:1 ratio (meaning the internal gears make two revolutions for every one revolution to the hand crank) up to a 6:1 ratio. It’s helpful to know what kind of fishing you’re most likely to do with your reel. If you’re going to be drawing in your line rapidly, you’ll want a higher gear ratio, but if you’re looking for something that can draw in a lot of power, you’ll want a lower gear. 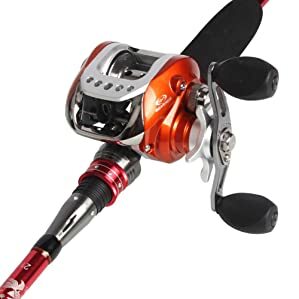 You can also look for a reel model that has multiple gears, so that you can easily switch at a moment’s notice, and get the best of both worlds. Drag System: Drag is the amount of resistance a reel requires to pull line away from the spool. Maintaining an optimal drag amount is paramount, as if the line is too rigid, without enough slack, a big fish may snap the line by putting up a big fight. Every reel has some means to adjust the drag. If a reel has a low-quality drag system, the line may come out jerky and cause a line to break, so you will want to find something that has a smooth release. Drag systems typically come in two varieties: star drags or level drags. A star drag system has a star-shaped knob located near the handle which can increase or decrease resistance. Lever drag systems, however, are operated by holding down a bar or button. Levers tend to offer more accuracy when casting, and have a smoother release, though they tend to cost more than star gears. Many beginning anglers start out with freshwater fishing because it’s relatively easy to get into. All you need is a hook, line, and pole! So if you’re looking for a reel and rod combo primarily used for freshwater, you’ll probably only need something simple and light. You’re not likely to be hauling in any sea monsters soon out on the lakes and rivers, so you might as well pack light and save a little bit of money on a smaller model. For freshwater fishing, it is my opinion that the Sougaylilong Spinning Combo is the best option. Its lightweight design makes it perfect for reeling in smaller freshwater fish. The reel is very smooth, with its eleven ball bearings and 5.2:1 gear ratio, good for a relaxing time on the lake. Its telescoping design also makes it good for carrying along with you, nice for camping trips. Saltwater fishing tends to be very different from freshwater fishing. The fish are usually larger, are more aggressive, and put up a bigger fight. For this reason, you’re going to want to find a reel and rod combo with a little more backbone to it. Another important consideration when choosing equipment for saltwater is the corrosive nature of the water. If you spend too much time fishing in the ocean or sea without paying too much attention to the type of materials used in your equipment, you may find your gear falling apart quicker than you’d like it to. 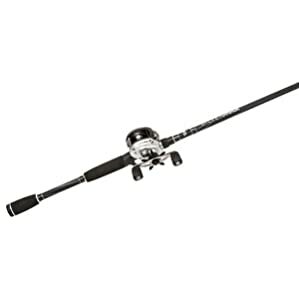 For the purposes of saltwater fishing, I would recommend the Shakespeare Ugly Stik GX2 combo. The rod provides excellent durability and strength to pull in bigger fish, and it makes use of anti-corrosive parts so that it can better withstand the saltwater. The reel is also good for saltwater; although it does not have as much strength as some other options, it does make up for in versatility and reliability. However, in the end you should do some research and decide for yourself. The types of reels and rods you’ll want depends greatly on many variables, such as where you’re fishing, what you’re catching, and your own personal preference. Luckily, combos do a lot of the work for you in matching up your gear. Really consider looking at combos, especially if you are a beginner fisherman, to help streamline the purchasing process. your given information about each of the product is very unique. The guideline about buying combo is very effective as it gives a clear indication of good product quality. I must praise your effort and wish you best of luck to provide more article like this. This is an awesome article and spreadsheet. I am just getting into fishing with my family and find this post is extremely valuable. Thanks for putting together. In my opinion, the Ugly Stick should be the go to rod for anyone considering getting into any decent kind of fishing. It’s a versatile rod, but to be honest, I can’t speak much for the reel that you’ve mentioned. The rod however is high quality and will last a long time, as long as it’s well taken care of. I’ve caught lots of fish on mine, from trout to bass to perch and seabass. There’s a reason it’s been a staple to fishermen for so many years! 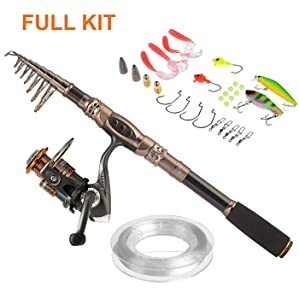 Im looking for the best combo for true river fishing? Any ideas would be great…. Sougayilang Telescopic Fishing Rod is an amazing rod for its low price. Wow! Such an informative content. I’m sure that. It’s really a one stop guide for buying reel $ rod. and the price range you mentioned is also affordable. Great Post! Very informational. 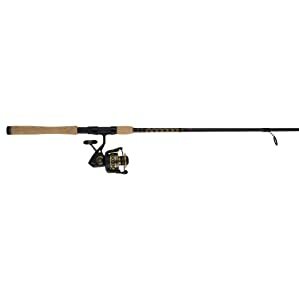 Oftentimes getting a rod and reel combo is the way to go unless you’re looking for something very specific. Great job on this piece, I’ll be reading through you others for sure. Hi Sammy, Abu Garcia really great reel. hi Sammy, what the first picture rod and reels model?